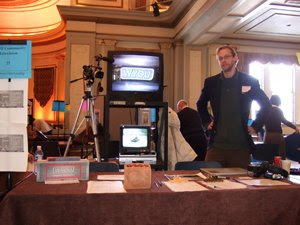 WYOU Executive Director Barbara Bolan and Eric Allin, the station's Technical Director, along with board members Heidi Johnson and Harry Waisbren were all on hand today to answer questions at the 2009 University of Wisconsin Public Service Fair. The fair is a collaborative effort between the Letters & Science Career Services office and the Morgridge Center for Public Service. The purpose? 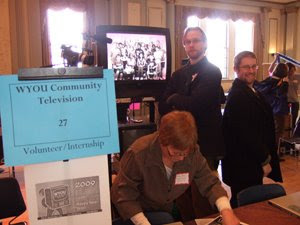 To allow students and non-profit organizations to connect and explore intern/volunteer opportunities. By the end of the day, WYOU had signed up 15 potential volunteers for the station. 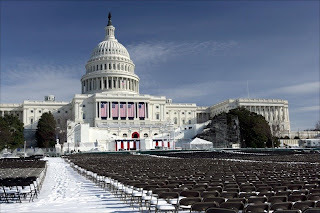 WYOU will be carrying Democracy Now and Free Speech TV's LIVE reporting of the Obama presidential inauguration. Tune in Tuesday January 20th from 7:00am-1:00pm for complete coverage. Then again Wednesday January 21st from 7:00am-10:00am for the morning follow up report. WYOU, analog channel 95 & digital 991. Make it yours! You can see it all this month on Mondays at 10:00 am and 8:30 pm. Check our online schedule for repeat airings as well. Shot and edited by WYOU's Eric Allin. 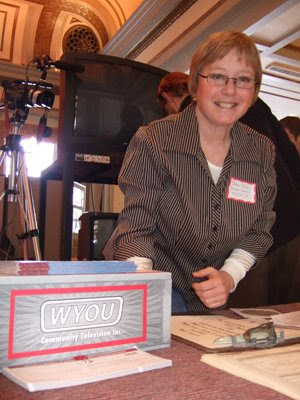 WYOU producer Ivonne Suryana has always provided us with wide-ranging and diverse subject matter for her numerous projects. From motorbiking in Asia to Indonesian dance, her productions are always captivating and nicely produced. 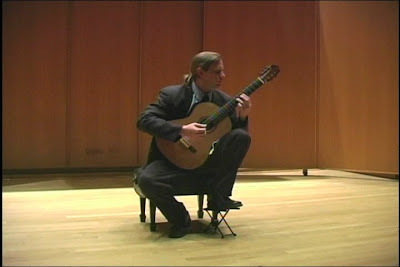 This month she delivers coverage of a classical guitar recital by UW grad student Chris Allen. Catch it Sunday nights at 10:00pm and Wednesdays at 11:30 pm. West African musician Tani Diakite and his Mali Blues Band was filmed live during the 2008 Africa Fest in Madison. 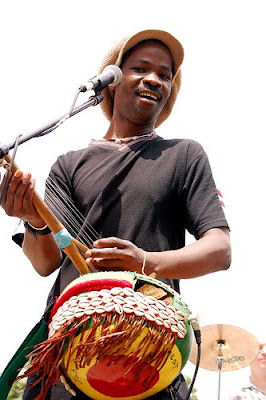 Tani Diakite is a Malian singer and professional kamelon ngoni virtuoso. He is a member of the highly prestigious Bureau of Malian Artists, an honor given by the Malian Ministry of Culture. Tani also performs as a solo artist. Born and raised in the bluesy Wassoulou region of southern Mali, he currently resides in Madison, Wisconsin. See Tani here on WYOU all of January. Fridays at 9:00pm, Thursdays at 11:00pm, and Wednesdays at 5:30pm. Check our online schedule for additional airings.